In this article, Stephen and Lynda argue that whole body clinical energy awareness is a dynamic process that functions as a powerful form of personal development through the medium of a commitment to healing. These abilities can be more or less developed by any motivated person – in the forms that are most natural to him or her. 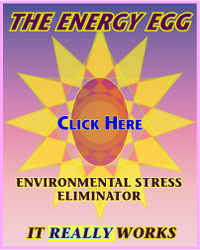 Many people intuitively accept the notion of environmental and body "energies". Some people perform tests that indicate the presence of such energies. A relatively few people experience various forms of awareness of the energies within which we exist and of which we are all a part. Energy awareness results from a projection forwards of the body's own energies. This projection appears as a "bump" in an individuals energy field. The nature, location and size of an energy bump determines the kind of higher awareness a person experiences. Energy awareness is experienced in many forms: energies can be seen, smelled, tasted, touched, heard, touched with the mind, touched with the feelings, observed as entities, symbols or processes and much more besides. 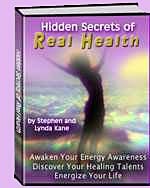 Energy awareness also differs according to which parts of the body's "hardware" are involved. For example, someone who sees energies as a consequence of a forward projection of their 6th (forehead) chakra will not have the same awareness as someone who perceives energies via their 7th (top of the head) chakra. Just to compound the complexity, the "software" also makes a difference. A "6th chakra energy awareness" deriving from a projection of an energy that accounts for the health of certain organs is not the same as a "6th chakra energy awareness" that results from an energy that fuels, say, one's relationships. By way of illustration, let's take a look at Charlie, who is enthusiastically demolishing his breakfast in the kitchen, even as I write. Charlie is an almost-15 year old Yorkshire Terrier who, according to his vet, should be dead. Charlie has Cushing's Syndrome. The symptoms provoked by the excess cortisol in his system included extreme lethargy but insomnia, almost total hair loss, major secondary skin infections due to reduced immunity, excessive appetite, thirst and urination, fluid in the peritoneal cavity and weight gain. The invisible symptoms are unceasing internal organ destruction eventually leading to organ failure and death. The energetic lesion from which Charlie loses his health-maintaining energy is over the left side of his abdomen – which correlates with the fact that Cushing's Syndrome often results from a benign tumour on an adrenal gland, causing the gland to produce excess cortisol. Although the lesion was clear to see, the solution wasn't. Having looked at a wide range of drug, nutrient, homeopathic and herbal remedies – none of which included more than a very partial seal of the lesion – Lynda eventually located a drug, Vetoryl (available in the UK), that appeared to be effective for Charlie's condition. However, when Charlie's French vet sent a blood sample off to one of the leading veterinary laboratories in France, the professor there concluded, from the test results, that giving Vetoryl to Charlie was unwarranted and would, most likely, have fatal consequences. His test results did not conclusively point to a diagnosis of Cushing's and any reduction in cortisol levels could, according to the norms, lead to Addison's and death. We decided to go ahead anyway. Charlie was on his last legs and everything else had failed or was clearly inadequate. Moreover, Vetoryl looked fine to us – energetically speaking. It's [energetic] signature was an almost perfect match for the surface of the lesion. It didn't seal it all the way to its root, but it appeared to be an almost complete palliative which, as long as it continued to be taken, should prevent any further great loss of energy. Also, not insignificantly, it did not appear to cause any other serious lesions in Charlie's [energy] body – which it would do if the predictions based on the lab test were correct. Today, eight months later, Charlie has regrown all his hair, has no skin problems, eats normally, drinks and urinates normally, sleeps well, is a perfect weight and is running around and making as much noise as before hed first shown any symptoms just over a year ago. Nowadays, we are very careful about what Charlie gets to eat – he used to be a notorious begger who would do his rounds of four or five neighbors every morning after breakfast. This morning, his breakfast includes a tasty combination of Vetoryl, crateaegus (hawthorne), thyroid, ester-C, folic acid, MSM, EPA, Vit E, B12, folic acid, co-enzyme Q10 and other such goodies. I believe there's some food in there somewhere too. As I write, I'm looking at Charlie solely via an energy channel connecting my eyes to my 7th chakra. This way of seeing energy shows me that everything Charlie is eating is causing a small ascension of brilliant energy at his crown. This energy – which is at everyone's crown – expands upwards whenever we do anything that is life-maintaining – as opposed to being self-destructive. So, with this kind of awareness, I can make sure that everything Charlie eats – other than what he pinches from the cat's food bowl when we're not looking – really is beneficial for his health. If I now switch channels to a chakra just above and between my eyes – we call it the "wish chakra" – I see that a light green energy is holding Charlie's vital energy in around his abdomen and pushing more of his vitality up through his body. This is the essential effect of the Vetoryl. If its energy wasn't holding Charlie's vitality in place, he would start losing massive amounts of it, down and out, and soon be back to his previous condition. Since the Vetoryl is also helping Charlie's vitality to ascend through his body, it gives him some quality of life – he still goes on walkabouts around the neighborhood (but no more treats from the neighbors), still greets people and, inevitably, is highly enthusiastic at meal times. The less our vitality rises up through our bodies, the more grey, dull and empty our lives become – not because of any particular external circumstance but because we have lost the flow of energy that makes us feel alive. A 6th chakra perception of Charlie shows areas of darkness that correspond to his Cushing's Syndrome. These areas don't have the sharp definition of the lesions that can be seen via the 7th chakra, but they are still good indicators of something being "wrong". This kind of awareness also reveals filaments (minute channels) of energy between Charlie and Lynda – his "mother" – that reflect the forms of relationship between them. One filament connects Charlie's and Lynda's 4th (solar plexus) chakras. The strength of this connection causes Lynda to be highly attuned to Charlie's condition – like any maternal mother – so she has, on several occasions, identified problems (and, later, their solutions) before various highly-trained vets have noticed them. A dark blue filament of foreign energy coming from another room and attacking (feeding off) Charlie's 7th chakra. This is an area of our house currently under construction so it's still somewhat rough around its energetic edges. I'm going to use a well-known environmental energy "remedy" – a red ribbon – to eliminate this health-draining foreign energy. A green information signal above Charlie's back. I see that this will lead me to a herbal medicine at the local chemist - they have a wide range of mother tinctures – which will restore some of the vitality lost prior to his starting to receive Vetoryl. How certain "positive" nutrients rule each other out. For example, the crateægus (for Charlie's heart) reduces his need for co-enzyme Q10 to 3 times a week. More than that and his lungs start losing energy and he starts coughing. This way of perceiving energy often reveals the need to be careful even when relatively innocuous substances or homeopathic remedies are being used. How able are you to arrive at an effective response? 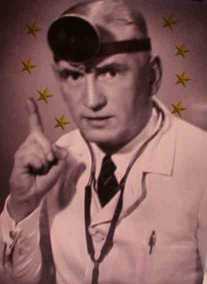 A common difficulty in all areas of energy work – whether via bioenergetic tests such as kinesiology, dowsing, electro-acupuncture, etc., or direct perception – is the "fuzziness" or non-specificity of the signal. In fact, we believe that the primary responsibility of any doctor or therapist – not just "energy medics" – is to do everything possible to ensure that the quality of whatever forms of diagnosis and prescription are used is as high as possible. This might seem obvious – at least from the point of view of continuing academic development – but, for an energy worker at least, the fulfilment of this ethic of constant improvement of practice requires a persistent commitment, on the part of the practitioner, to cultivate her own energy awareness. If this development includes her whole being, it will automatically develop a pro-active "early warning system" that triggers an internal alert whenever a proposed therapeutic response is unable to meet a client's current needs. A whole body clinical energy awareness is a dynamic process that functions as a powerful form of personal development through the medium of a commitment to healing. This commitment, or intent – which is itself an energy that extends from the upper abdomen, engages your entire life, exposing the areas that weaken your ability to heal and challenging you with your realizations of what you need to do to grow in the areas that are holding you back. The development of this type of awareness itself requires a very precise system and methodology of checks and balances. This assures a stable progress and an ability to withstand the forms of resistance that appear in all our lives to limit our intent to grow, to heal and to be alive. Charlie's most fundamental limit is depicted by the light above his head. It may brighten up at mealtimes but, as for all of us, it's slowly running down. Our lives begin and end at the crown – a minute vortex just above the 7th chakra. As the light of the crown fades over time, the body becomes increasingly deficient in vitality. Less vitality means more opportunities to be ill and less ability to "rise to the occasion" of illness or other challenges. 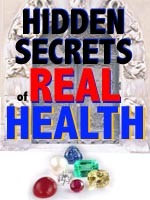 The following technique or seal from our book, Hidden Secrets of Real Health, helps you cultivate your own clinical energy awareness – no matter what form of medicine or therapy you practice – and develop the level of vitality in your crown. It is a meditation that beckons ki from the east into your crown, which then uses it to amplify your awareness of sources of health and healing energies in your environment. The more you are aware of these energies, the more you can consciously interact with them in ways that develop your relationship with your world through the activity of healing. Any effective form of personal development deepens your relationship with the world around you, and develops concrete abilities that reflect this growing relationship. Persistent daily attention to the "light of the east" opens a way of healing that is personal to you. This way may or may not resemble others in some respects, but it increasingly springs from within you, in response to the eastern light, as both a means and expression of your vastening relationship with your world. Like all serious meditations, Accepting the Light of the East develops an "energy bump" – this one at your wish chakra (also known as the "wish-fulfilling gem" to some Buddhists) – which, in this case, is attuned to the intent of healing. Regular concentration, in this manner, on the eastern sky will cause your clinical energy awareness to grow. This empowerment, on its own, doesn't generate a whole body energy awareness, but it will start increasing forms of awareness that are most relevant to your clinical practice or current healing efforts. As this awareness increases, your ability to discern how to interact with your environment as a source of energies to improve your healing work, will also develop. The more you act on the basis of this growing awareness, the more your dormant or already active healing talent(s) will awaken.